Years ago, a young man named Victor Siaulys and his friends were kicking a soccer ball around a beach in Brazil, when one of them twisted his knee. As the knee began to swell, one of the men picked a handful of verbena leaves from bushes along the beach, wrapped them in a piece of cloth soaked in alcohol and created a makeshift bandage. Growing up near native fishing communities in Brazil’s Atlantic Forest where age old folk medicine is still practiced, he was familiar with the impressive antioxidant performance of this unassuming little herb. Not long afterwards he and two friends decided to buy a small laboratory founded by Dr. Philipe Aché. Their dream was to produce drugs that would bring health and wellness to people, improving lives and fostering longevity with quality. 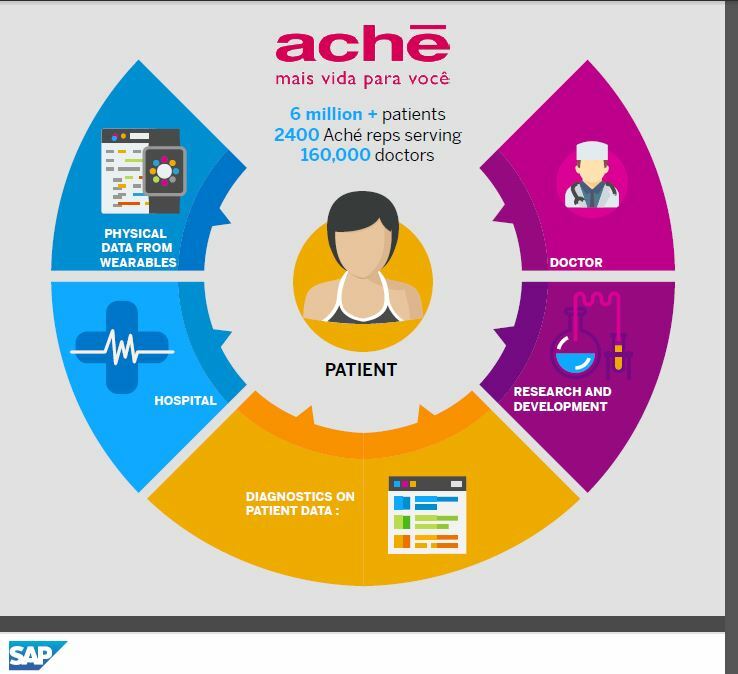 Today, their company Aché is one of the largest pharmaceutical laboratories operating in Brazil. From the beginning, the founders expressed their pride in being a national company by developing the best medicines for the health and needs of Brazilians. When the anti-inflammatory Acheflan was launched 39 years ago, it was the first fully developed phytomedicine in Brazil, using the extract of Cordia Verbenacea to treat chronic tendonitis and muscular pain. Aché started off as a traditional pharmaceutical company. What sets them apart is their early adoption of digital tools and platforms to run their business efficiently. Every penny saved is invested in research and innovation that benefits patients. “We are keenly aware of the high cost of medication,” says Paulo. Paulo believes that radical innovation begins with a clean slate. The challenge doesn’t end when a patient is diagnosed. The medication must be available where and when it is needed. Making sure the meds are always on the shelf in drugstores is one of the supply chain challenges Aché is solving by simplifying processes. People are living much longer lives than before. The question is: what quality of life will they have? Ache was the first company in the pharmaceutical sector in Brazil to invest in sustainable extraction from Brazilian biodiversity and to adopt ISO certification. The company has comprehensive programs for recycling or treating contaminated materials, waste, and water. And although Aché is a private company, they publish their financial results and are a pioneer in this space. Relief to your pain, tranquility to your mind. And opportunities for employees ….